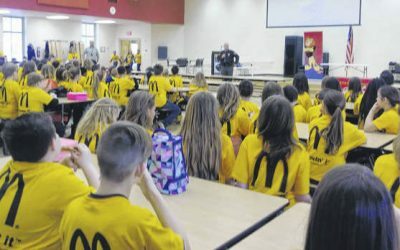 Taking part in the recent D.A.R.E. 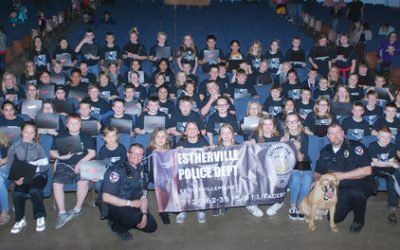 graduation ceremony were, from left, D.A.R.E.  instructor Dana Mitchell, D.A.R.E. essay winner Alyson Sinkewich, D.A.R.E. program coordinator officer Brynn Dunne, and D.A.R.E. essay winner Evan Weete. 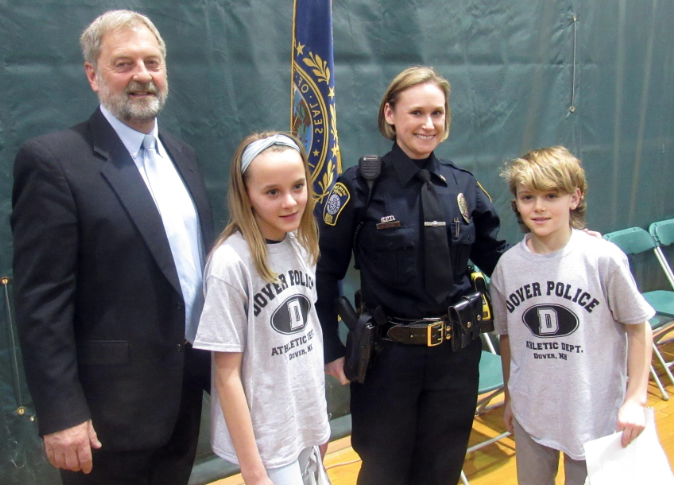 DOVER — More than 300 fifth-graders were honored at the annual graduation ceremony for the Dover Police Department’s Dover Middle School D.A.R.E. program held at the school on March 15. 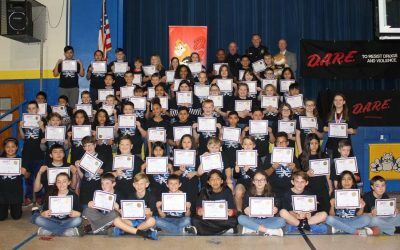 At the event, 305 fifth-grade students celebrated the completion of the D.A.R.E. curriculum which lasts 13 weeks, according to Capt. David Terlemezian. 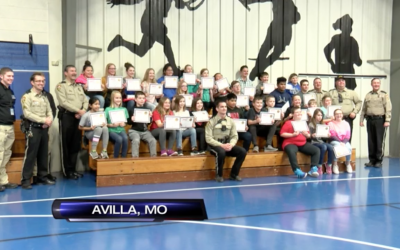 In addition to the graduates, teachers, other school staff, and approximately 100 parents, city and school officials were also in attendance. 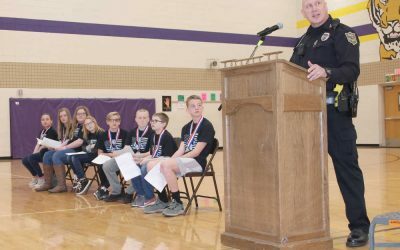 These included Police Chief William Breault, Superintendent of Schools Dr. William Harbron, Deputy Mayor Bob Carrier, Dover School Board Secretary Kathy Morrison, and Dover School Board member Matt Lahr. 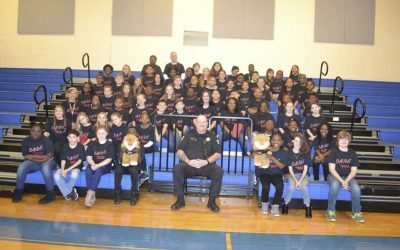 Also present were the department’s three D.A.R.E. instructors, officer Brynn Dunne, officer Chris Plummer and Dana Mitchell. 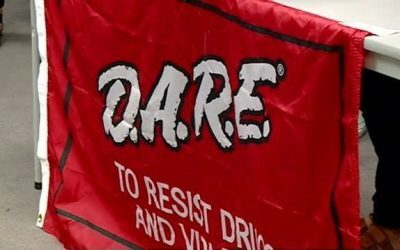 As part of the D.A.R.E. 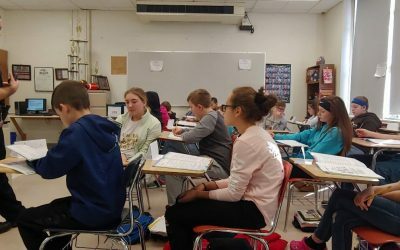 program, each student is asked to write a letter to a fictitious friend who has moved away and has recently begun to use alcohol or tobacco. The goal is to see what the students would write to that friend to help them make better choices. 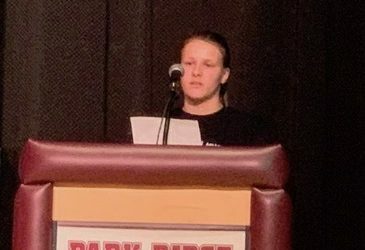 The winning essays were written by Evan Weete and Alyson Sinkewich and they both read their award essays to the large crowd. The graduates were then presented with their certificates. The graduates also received their Drug Free IDs which allow the students to get discounts at several participating businesses in the area.